There is nothing wrong with indulging in something delicious every once in a while. Even if you are trying to lose weight or fix your hormones or energy or whatever you are working on. The moment you start to bring the words never, always, can’t, not allowed, and so on into your nutrition plan vocabulary, is the moment you start to create a negative relationship with food, yourself and the concept of healthy eating. Complete restriction over a long period = feeling resentful, rebellious, ashamed and guilty. Which more often than not ends in an all or nothing pattern of being ‘good’ and the ‘bad’ when you go off the deep end and binge on everything sweet in sight. Booo. This is no way to live!! When you allow yourself to have high quality indulgences, that are properly balanced with vitamins, minerals, and macronutrients from all categories, you can start make peace with food and start living a healthier lifestyle. 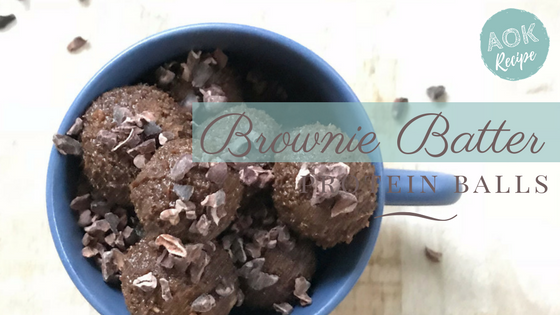 Try out the Elevated Brownie Batter Protein Balls, which are made with low allergen ingredients, high quality natural sweeteners, healthy fats and protein. Are sugar and carb cravings getting the best of you? Did you know that sugar cravings are more physiological than emotional? Which is great news, because that’s easier to manage. Join us for a FREE 5 Day Sugar Freedom Challenge. 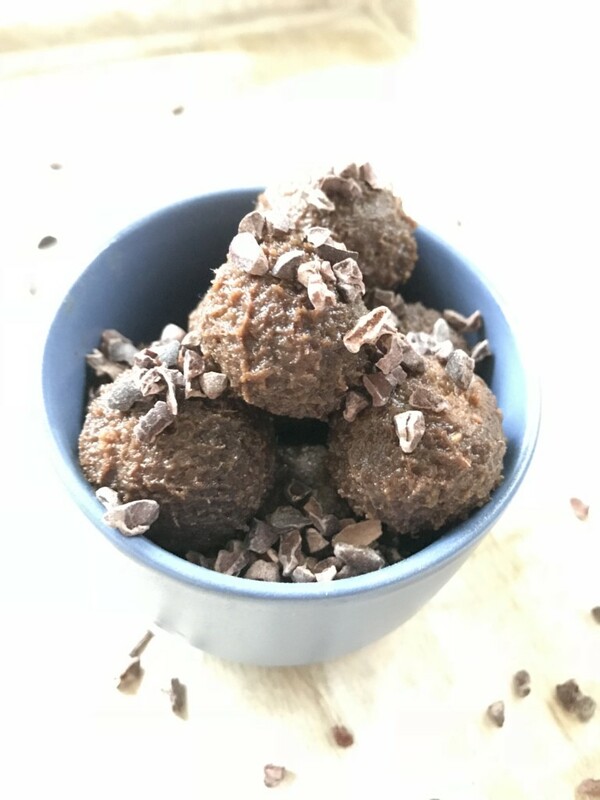 You’ll get access to amazing simple recipes to cut your cravings in just a couple of days + important resources to help you transition into living a low sugar lifestyle so you can enjoy better energy and freedom from cravings. 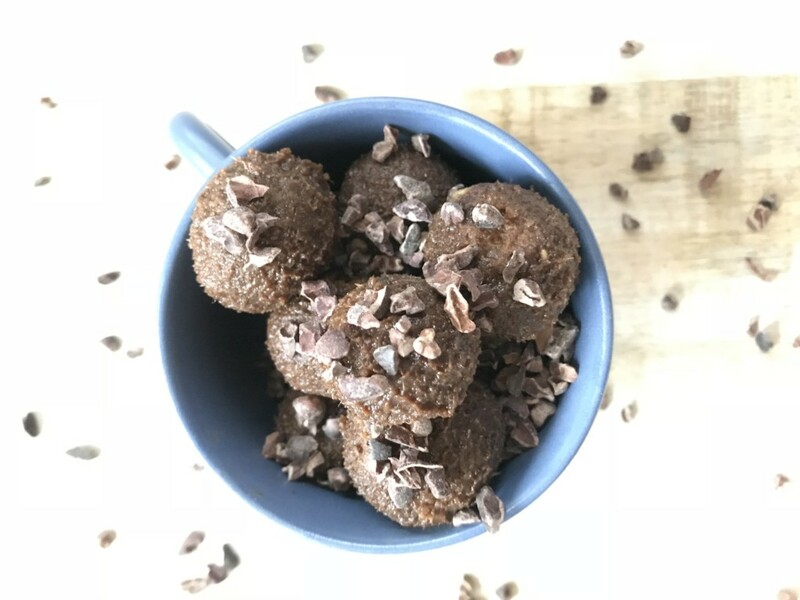 These energy balls are full of natural energy boosters like magnesium, iron, and omega 3 fatty acids, as well as antioxidants to keep your cells healthy and prevent premature aging. The medicinal mushrooms in the superfood mix are excellent for helping your body cope with stress and proper immune function. Drain and rinse walnuts. Drain dates and remove pits. Add all ingredients to food processor. Buzz until you get a somewhat smooth and even consistency. You may have to stop the processor a few times and scrape the sides. Use about 2 tablespoons of batter and roll between your palms into a nice even ball. Place balls into a glass storage container. Optional: Sprinkle balls with raw cacao nibs for a crunchy texture. Keep in the fridge for up to 4 days or freeze for up to 1 month.